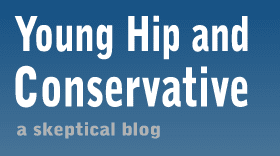 Young, Hip and Conservative: a skeptical blog: How about, don't hit people? I remember a slogan that said there is no excuse for domestic violence. I wish more people who pride themselves for being supporters of domestic violence victims would adopt it. Because there seems to be plenty of excuses when it's a woman striking her male partner. Sports commentator Stephen A. Smith was suspended for his commentary on the suspension of NFL player Ray Rice after Rice hit his girlfriend in an elevator and then dragged out her unconscious form. More specifically, Smith was suspended for a straw man version of his commentary that was trumped up to make him look bad. There's a two-minute clip going around that does a neat job of propagandizing the issue, as it snips off important details he said before and after the clip. In the full clip, Smith said, "People get on television and they get scared to broach these subjects... You say you don't care whether she hit or not. Let me make everybody uncomfortable by telling you I do care." He then proceeded to say that some men are vile and will assault women no matter what, but others will only do so when they are provoked, by which he was referring to a woman striking first. Then, at the end, he said even if a woman strikes first it is still wrong for the man to hit her back. So what was the fake version of his comments being shared? They claimed that his message was that women shouldn't provoke men into hitting them, making it sound like he was pinning the blame entirely on victims. He tried clearing it up and apologizing, but online outrage never accepts apologies. I first learned about the high prevalence of "mutual combat" in domestic violence from advocate Erin Pizzey. While most people automatically sympathize with the female partner, there is still an underlying problem that needs to be addressed with couples that strike one other repeatedly and create a cycle of violence in their relationship. I imagine mutual combat makes feminists and domestic violence advocates uncomfortable and they either don't know much about it or try to rationalize it away because they don't want to place any responsibility on a victim. So ponder this: Overlooking the issue of mutual combat in domestic violence means this major issue is going unaddressed and more women are hitting their partners as a result. That directly means more male domestic violence victims (which I hope we can all agree is a bad thing) and indirectly means more female domestic violence from provoked male partners. Trying to force domestic violence into a simple good vs. evil narrative actually leads to more domestic violence. While Smith said men struck by their partners should not hit back, Whoopie Goldberg said that people struck have the right to strike back, and that Rice's fiance shouldn't have struck him first. “If you make the choice as a woman who’s 4 foot 3 and you decide to hit a guy who’s 6 feet tall and you’re the last thing he wants to deal with that day and he hits you back, you cannot be surprised,” said Goldberg. "Don't anybody hit anybody." That should be the real takeaway message here. No one should be hitting anyone. Period.